Usually, malls are dry places for creativity, where only the big chains can afford the exorbitant rental prices, stifling independent and artisan retailers, so when you see something different in a mall, it catches my eye, and no more so that coffee or/and food shops. I recall about 7 years ago walking into a mall in Cairo and seeing the famous Venetian coffee shop, Caffe del Doge – sceptical, I went in and was really intrigued by the enthusiasm of the baristi – the coffee was typical Italian, dark roast, but prepared with care and lots of etching (not latte art, but using chocolate syrup to draws patterns). Back then, I thought that was the best coffee shop in a mall. 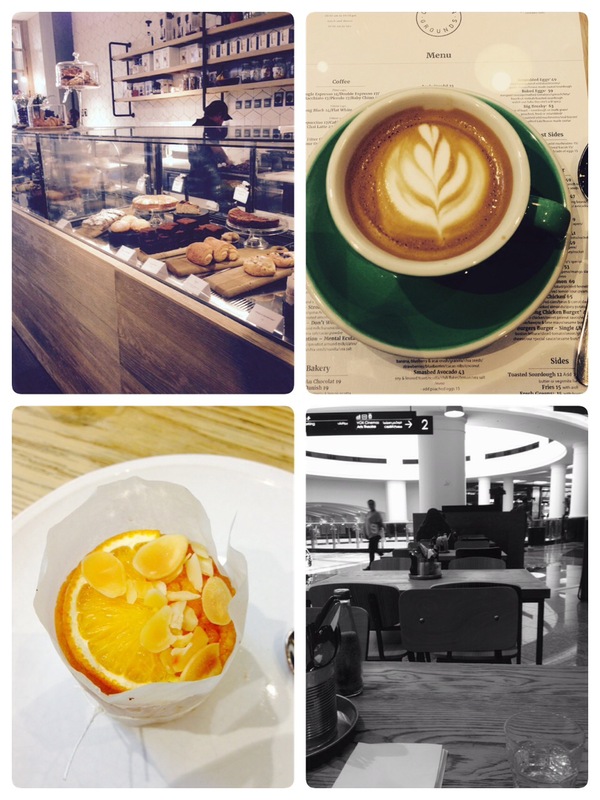 Then about 3 years ago, I went into Westfield Stratford in London and was pleasantly surprised to have coffee at Grind. 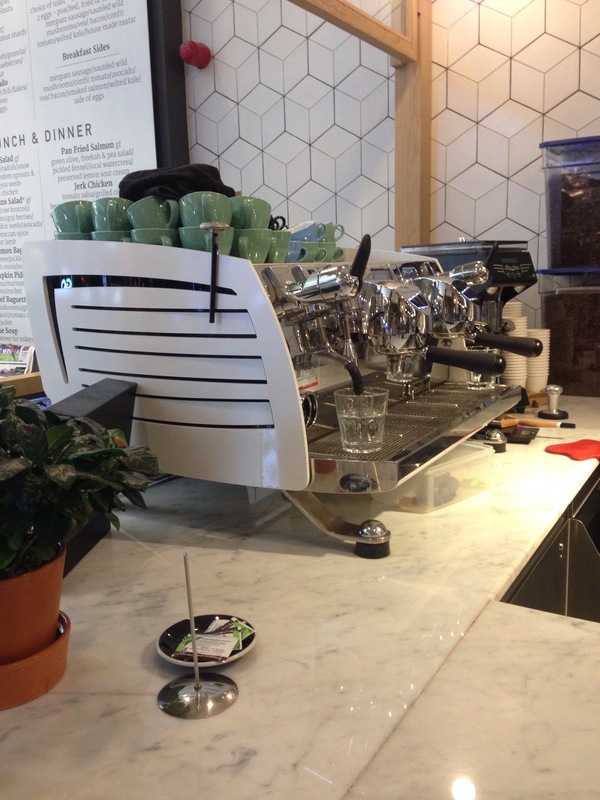 Attention to detail in preparation, coupled with great espresso machines, topped up with cakes, customer friendly staff in a very busy environment made for a very electable coffee shop environment and for me back then, the best coffee shop in a mall. But now…. we have a new contender… drum roll…..
a coffee menu, offering filter coffee especially brewed for you using a chemed, aeropress or Hario V60, coffee beans on sale, a very welcome spread of cakes, sweet bites, pastries and more, including a food menu with wide appeal, friendly staff, the brainchild of serious coffee fanatics and located in a the city of malls and more, comes…..
Common Grounds in the Mall of the Emirates, Dubai. 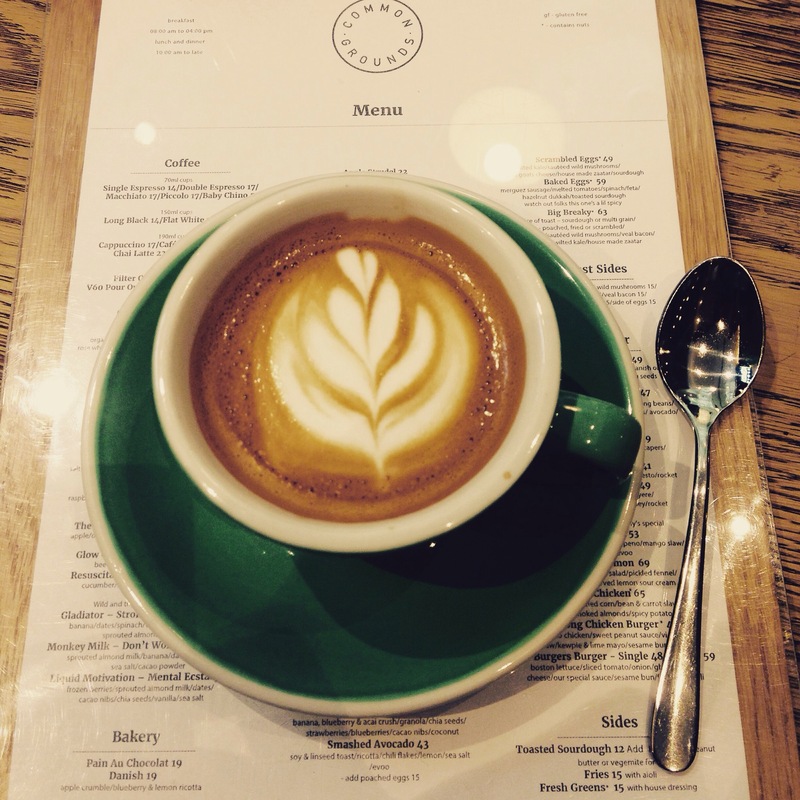 The brainchild of Tom&Serg, Common Grounds is their third outlet in Dubai, after the Sum of Us. 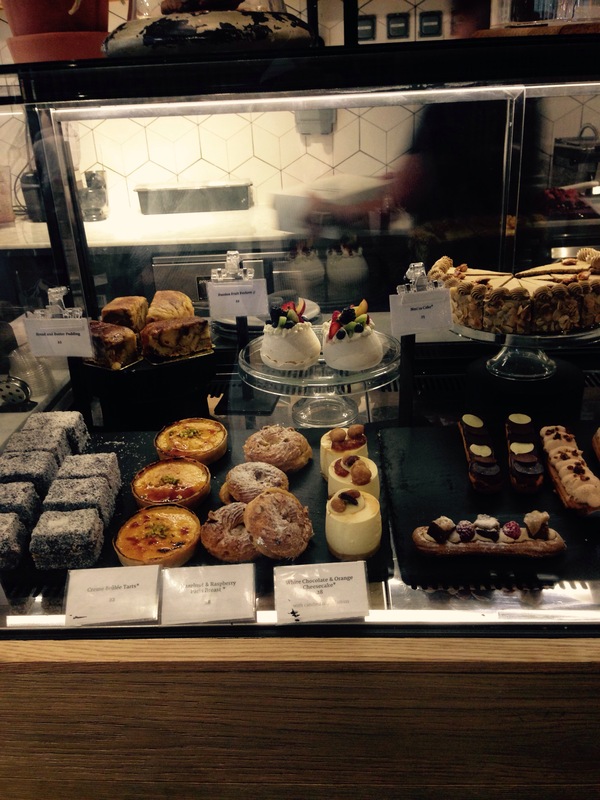 The latter location is now their coffee heaven location, where all their coffees are roasted and dispatched to their shops, with espresso blends and filter roasts on offer. and was really spoilt for choice on the desserts (almond and orange cake, mini-cheesecakes, chocolate cakes, brownies, pastries and more), I decided on the almond and orange cake. The staff from France and South Africa were really friendly and couldn’t do enough. The barista were available to offer coffee geeks like me a choice of coffee based on brew process – I settled for the chemex. 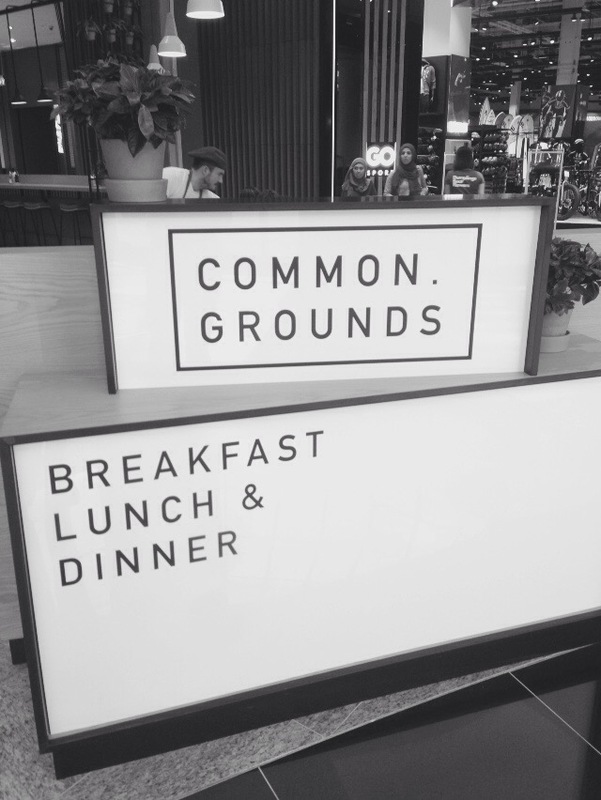 I could easily have been in a cafe in central London in terms of the attention to detail – with it’s laid back feel and no evidence of being a chain, Common Grounds has a unique and independent cafe appeal. As you know, I like shopping (mostly outside and not in malls, unless it’s for food) and visiting Dubai, but now I’m rest assured that no matter how much shopping I’m doing, not to mention, my wife and daughter are doing, I can always escape if I’m Dubai to a cafe to relax and drink great coffee. A well deserved title from me “the best coffee in a Mall”, but let me know if there’s somewhere else, I’ve missed in the World of Coffee.